Title: Never Look Back In The Pursue for the Arts. This is the principle in life of local artist Ye Ruoshi (age 41). Ye Ruoshi, under the influence of her mom who loves theatre, is artistically inclined since a very young age. She decided to become an artist from young. So, her mom enrolled her in various art classes since young. During schooling years, she joined Art and Craft Club before entering NAFA to become a professionally trained artist. Right now, she is helping her hubby — Kamal Dollah who is also an artist to manage his company doing and teaching art. 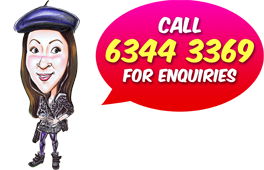 Caricatures being their main source of business. Besides doing caricatures, Ruoshi is also a Fine Art painter. 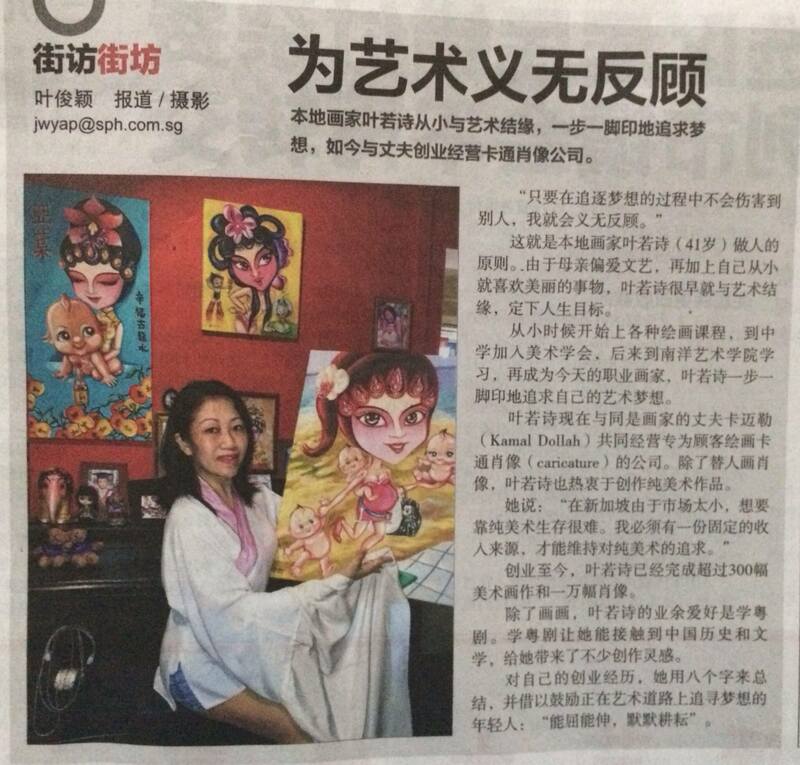 She said,” In Singapore, the market in the Arts is too small to be using Fine Arts as main income source, I need another source of income (from caricature) to support my pursue in Fine Arts.” To date, Ruoshi had created 300 paintings and more than 10,000 pieces of caricature drawings ever since she started her career as an artist. Besides visual arts, Ruoshi also dabbles with and learning Cantonese/Chinese opera. In the process of learning this art form, Ruoshi learned about Chinese history and literature which is also her source of inspiration when doing her paintings. For her experience in Arts and those who wish to pursue Art, Ruoshi has this for them– Be flexible and work diligently.